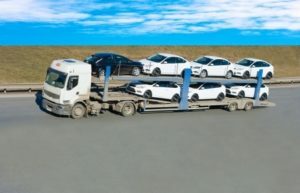 Busiest Moving Season Projected in 9 Years | Car Couriers Inc. In a previous post, we talked about how summer is one, if not the, busiest seasons of the year to move – and if analysts are correct about 2015, we are witnessing the busiest moving season since 2006; people are moving at rates that haven’t been seen since before the bubbles bursted. With that said, there are numerous tips we can share that would make summer moving a bit more manageable, but for now we would like to focus on social media. Who isn’t on social media these days? Whether it’s your Facebook account or your Instagram, chances are you’re more active during the summer months; after all, the weather is better, so you’re more liable to share fun updates from your life. But be warned if it has to deal with you moving – even more so if you are a real estate agent yourself. Ana Rodriguez of Al.com writes, “According to hashtags.org article – a website designed to “organize the world’s hashtags – real estate agents have found that using social media allows them to “stay available, engage socially, establish a reputation and build connections.” Real estate agents are fond of using social media because a buyer can come from anywhere, so the more exposure one has, the more liable he or she is to make the sale. To sell a house, you really need to grab someone’s attention. This seems all well and good; social media is an avoidable beast nowadays, but Rodriguez advises sellers to avoid using social media. That’s the difficulty of utilizing social media as a seller; you don’t want to open your doors to someone who might hurt you. Regardless of how experienced you might be in selling a house, every one is a possible victim when it comes to strangers. There have been horror stories when it comes to open houses. Ultimately, you need to exercise caution when it comes to selling your home. Moving is one thing and transporting your good across states or a country, we at Car Couriers have your back, but there’s not much we can do regarding the selling of your house. So yeah, exercise caution!